NGO ‘Spirits of Giving’ Distribute Blankets and Utility Items among the unprivileged Children in New Delhi! 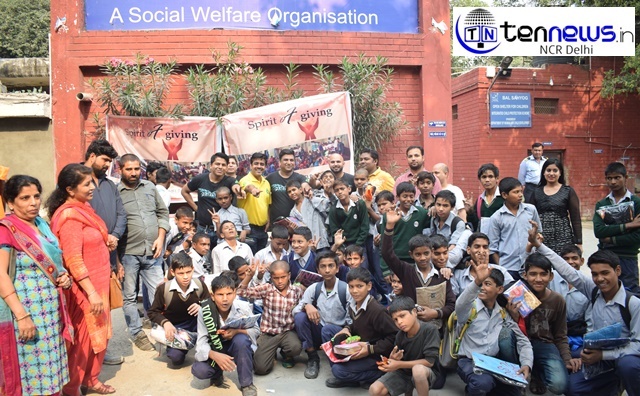 New Delhi: Independent representatives from an NGO named ‘Spirits of Giving’ have once again come together to brighten up the festive season for the underprivileged. In a series of events spread across 21 cities throughout India, various groups of Independent Representatives have come forward to raise money to help the underprivileged communities. educational tools such as stationery and books. Jammu and Meerut, between 14 October and 7 November 2018. “We have been fortunate to find our path and purpose with QNET which has helped us transform, not only our lives, but the lives of those around us. Giving back to our community during this auspicious festival season is our way of paying it forward”. NGO 'Spirits of Giving' Distribute Blankets and Utility Items among the unprivileged Children in New Delhi!